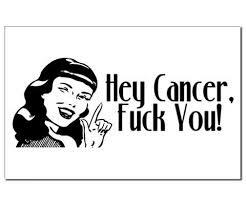 Dear Mr. Cancer. I just wanted to tell you, that nobody likes you. find a way to cure you - I hope you just get yourself and die. Sincerely, A girl who's family member(s) you're currently messing with.